Store Home » Essential Oil Brands » Fabulous Frannie Essential Oils » Sleep Essential Oil Blend 100% Pure, Undiluted Essential Oil Blend Therapeutic Grade - 10 ml A perfect blend of Chamomile, Marjoram, Bulgarian Lavender and Vetiver Essential Oils. Sleep promotes relaxation and eases tension for more restful slumber. It's the perfect blend of Chamomile, Marjoram, Bulgarian Lavender and Vetiver Essential Oils. 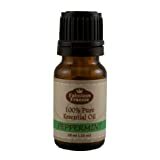 Peppermint 100% Pure, Undiluted Essential Oil Therapeutic Grade - 10 ml. Great for Aromatherapy! 100% Pure Peppermint Essential Oil Therapeutic Grade - 10 ml. Aroma: Strongly piercing, refreshing, minty, very herbaceous. Blends well with: Basil, Bergamot, Cajeput, Cedarwood, Eucalyptus, Lemon, Lime, Mandarin, Marjoram, Niaouli, Pine, Rosemary, Spearmint, Thyme. Botanical Name: Lavandula officinalis. Process: Steam Distilled. Blends well with: Bergamot, Black Pepper, Cedarwood, Chamomile, Clary Sage, Clove, Cypress, Eucalyptus, Geranium, Grapefruit, Juniper, Lemon, Lemongrass, Mandarin, Marjoram, Oakmoss, Palmarosa, Patchouli, Peppermint, Pine, Ravensara, Rose, Rosemary, Tea Tree, Thyme, Vetiver. 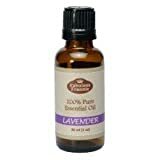 Aromatherapy Uses: French Lavender can be considered "standard" lavender; it's crisp and more astringent than Bulgarian Lavender. This oil is most commonly used in manufacturing other products like soaps and candles. Other uses include aromatherapy, perfumery, body care and cleaning products. Botanical Name: Pelargonium graveolens. Aroma: Floral, fresh, sweet with a fruity ntoe. Blends well with: Basil, Bergamot, Carrot Seed, Jasmine, Lavender, Rose. Uses: has a calming and grounding effect. Used in steam facials to beautify skin.